This level have normal difficulty and you need to break five colorbomb with trick. 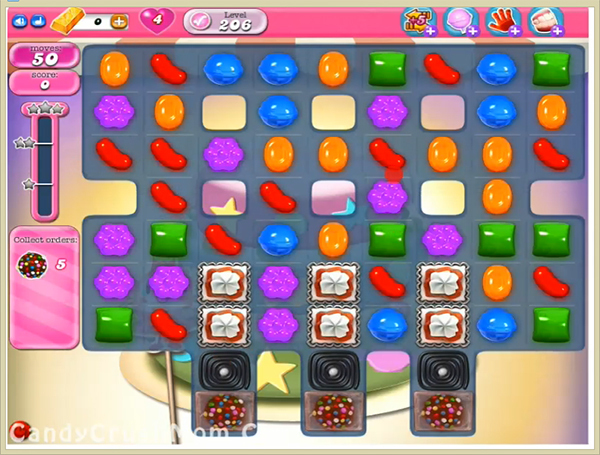 First try to play from bottom near to blockers and as you get chance to make colorbomb then make it and break with normal candy. This will help to have more other color normal candies on then board so you can get more colorbomb or use colorbomb that you already have in board. We completed this level with 67760 score using above trick and got two star score at the end of the level.